Imagine the scene… it’s just any regular morning at Disneyland Park. You walk through Fantasia Gardens at a brisk pace, deciding where you’re going to head first. You get your park ticket ready for the turnstile and step under Disneyland Hotel to the entrance gates. 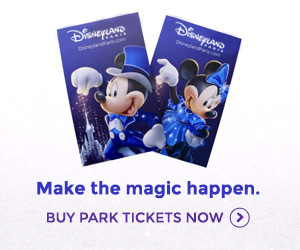 But, when you put your ticket into the machine and step through, you’re surrounded by confetti, cheering, Mickey and Minnie Mouse, Disney officials and a giant placard proclaiming you as the 200,000,000th (200 millionth) guests! Today, Tuesday 12th August 2008, exactly that happened. The Yernaux family from Salon de Provence in France were given the momentous accolade of being our European Disney resort’s 200 millionth guests! After a festive welcome and photos with Mickey and Minnie Mouse and Euro Disney Vice President François Banon, they enjoyed an unforgettable day at the park littered with special exclusives and VIP experiences. This evening, they will enjoy a special dinner at Walt’s – An American Restaurant in Main Street, U.S.A. and have been upgraded to a suite in the brand new Empire State Club at Disney’s Hotel New York. With more than 14.5 million guests last year, fans with a calculator and a list of previous attendance records could well see that this occasion would soon arrive — as of 31st March 2008, overall attendance at the resort’s two parks totalled 194.1 million. And, as the Disney Hotels can now boast an occupancy rate of 89.3%, it all serves to confirm, 16 years on, that Disneyland Resort Paris is far and away the leading tourist destination in Europe. The last attendance milestone, the 100 millionth guest, happened just 7 years ago in January 2001. Today’s 200 million barrier also gives us an update on attendance so far this year. With first half (from October 2007) attendance of 7 million, we can now add 5.9 million — so far — for the second half. This gives us 12.9 million guests through the gates in financial year 2008 so far and therefore only 1.6 million more needed between now and the end of the year on 30th September to keep a steady 14.5 million, last year’s attendance record. By comparison, last year’s second half brought us an incredible 8.4 million visitors, the highest in the resort’s history. A successful final month-and-a-half could well allow the resort to beat last year’s record. Beating the elusive 15 million mark, however — the annual figure Disney originally wanted after the opening of Walt Disney Studios Park — remains as challenging as ever.